I have been running the retail code of Lightroom 5 this morning and it appears to work well. As in the beta I’m particularly pleased that the delay in going from the library to develop module has been considerably reduced compared to Lightroom 4. The only other significant improvement is the smart preview technology which helps working on the collection away from base on a space restricted laptop. It is possible to install Lightroom 5 alongside Lightroom 4 but I suggest existing clients not yet convert their working catalogues over to Lightroom 5 for a week or two just in case there are any surprises, if there is money involved then best tread carefully. Having used Lightroom 5 across several updated catalogues as well as using it at a live capture NEXT flowers shoot supporting Clive Nichols I’m happy to report that I have not come across any glitches and consider version 5 to be my main choice when running Lightroom. Run Lightroom 3 or 4 and open your main catalogue. If closing the catalogue doesn’t give you the backup dialogue then open it again and select the following Lightroom menu item: Edit : Catalogue settings. From the General tab select “When Lightroom next exists” from the backup drop down. Exit Lightroom and make sure you select the “Back up” button. Do not uninstall Lightroom 4 just yet. Purchase the Lighroom 5 update and download it. Install Lightroom 5, it should start up and offer to convert the most recently used catalogue, say yes to this. That should be it, leave Lightroom 4 where it is for now but use Lightroom 5. 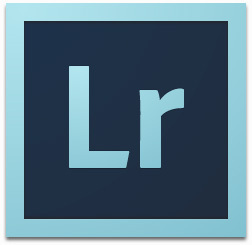 Adobe have today released Lightroom 4 to market. I have just ordered an upgrade copy on-line as I was pleased with the new functionality of the beta version. The upgrade price (£59.09 inc VAT) is lower than previous versions and the retail price for the full product (£103.88 inc VAT) is also much less than previous versions. Adobe have reduced the price because of market competition from software such as Apple Aperture 3 which is priced at £54.99 for a new licence. A pity there is no competition for Photoshop. If you decide to purchase I recommend requesting the box be sent to you, there is free shipping till the end of the month. The software download version costs more money and means no physical media to reinstall from, you will however be supporting the Irish Governments attempts to get the country back from the brink of economic collapse (the higher VAT rate Adobe charge for software downloads from Ireland are the reason for downloads costing more than shipping physical product). Its your call. Looks like Lightroom 4 will be a worthwhile upgrade when it appears later this year. You can preview the new functionality yourself by downloading the beta from Adobe. For me the biggest changes are the new develop settings layout, soft proofing for your different printer profiles and the map function will become of interest when more cameras contain gps circuitry. On a more “Ed Reardon” note Adobe have “kindly encouraged their programmers to get their fingers out” and burning images to DVD is now supported in the 64bit version of Windows 7, something they should fix in Lightroom 3 but have not. UK upgrade price will no doubt be the same price as the US plus a special supplement to pay for a new Adobe executive aircraft. Just a quick update to say that when using the latest version of Lightroom 3.2 and Canon capture software I had no problems on recent shoots so it looks like the update has helped. Just back from a very pleasant if hard working 2 day shoot with Clive Nichols. I thought this would be a good trial of Lightroom 3 tethered capture. 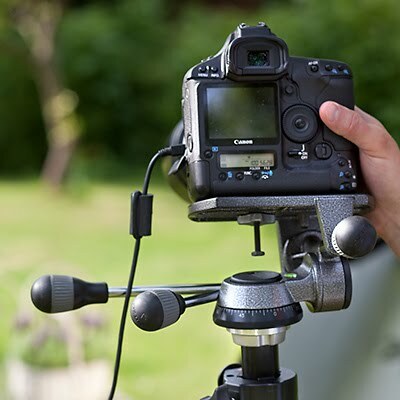 Tethered capture is a real necessity with art directors and clients on a shoot as each shot needs checking and changes made before each setup is signed off and we can move onto the next one. We abandoned Lightroom 3’s built in camera control straight away as although we could trigger the shutter we only had a readout of aperture and shutter speed so could not make exposure adjustments from the laptop, this was important as when the camera is high up or in a tight corner it is difficult to adjust the camera itself. We reverted to the Canon software for controlling the camera and setup Lightroom 3 to auto import images from the capture folder. This did work most of the time but we had a few glitches where the images did not make it through. As soon as I realised this was slowing the shoot down I reverted to Lightroom 2.7 which performed the same functions perfectly. Lesson: Always keep the last good version of software on your computer till you are sure the new version is ok. It could be that any forthcoming update (3.1?) will sort this problem and perhaps Adobe could spend some of that money they make in extending the functionality to camera control at some point. Until then I’m sticking to 2.7 for tethered shooting. I’m not a keen fan of Lightroom for productive imaging workflow but do think its a great way to manage collections of images (search, re purposing etc). Its ideal for small to medium sized businesses who don’t have custom programmed image databases but need some of that functionality. Its also my preferred platform for auto importing when shooting tethered when its important for art directors to see the shot asap after the shutter is released (though via the canon capture software rather than the built in tethered options). I have been using the Beta of 3 for a while, the release code is on order and I will let you know if there are any changes. Be aware that having rich metadata in your Master collection is a good thing for you but you may want to consider erasing such metadata from versions of the files going out to clients if the images contain subjects such as endangered species or private gardens where its best not to reveal the exact location. Contact me if you need assistance in automating the stripping out of metadata from retail files, this can be done field by field right down to retaining only essential metadata such as copyright, contact, caption and keyword information. My main concerns were of complexity and preformance/reliability it just seemed seemed a little too flakey. I still beleive that for handling the workflow for production retouching Lightroom still lacks the simplicity of Bridge/Photoshop that is central to my workflow recommendations. However, for keeping track of the “Master Collection” once created I now beleive Lightroom 2.0 has a place. I am currently looking into how Lightroom may find a place within a small photolibrary/photographer situation and how it would impact the needs of different users. Lightroom 2 holds promise, Im keeping an open mind.